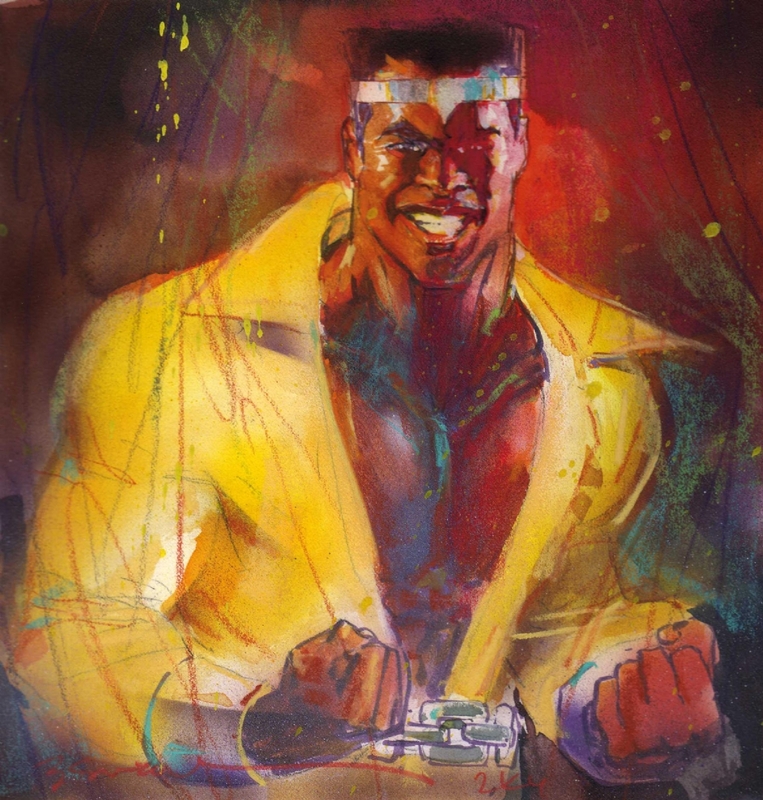 Luke Cage by Bill Sienkiewicz. Wow, that’s gorgeous! seems to be a different, looser approach for stelfreeze. Also Erika, I really enjoyed your appearance on Sidebar Nation. Thanks! Thank you so much for your kind words about the podcast! I had a lot of fun gabbing with the fellas. Love this!! Luke Cage is great and so is this image!